A MVURWI herdboy turned a Good Samaritan when he assisted 13 out of 14 passengers who survived when a Nissan Caravan collided head-on with a Honda CRV, resulting in 11 people being burnt beyond recognition on Monday. Mr Forgetmore Tigu (31) of Plot Number 7 Penath Farm yesterday said he was the only person close to the scene when the accident occurred and was bound to assist. “I looked around and could not find any other person nearer and I told myself that if I were not to assist they could all die, either from bleeding, or injuries sustained. I then rushed to the scene, which was less than 10 metres from where I was,” said Mr Tigu. He said on arrival he opened the back door of the Nissan Caravan and asked those who could jump out of the vehicle to do so. “When I opened the door, I nearly drew backwards as l saw everyone bleeding from their noses but what gave me courage and strength was the need to save lives,” said Mr Tigu. He said he started saving a toddler whose mother was sitting close to the door. “Some people were asking me to help them but I could not because I was all alone,” said Mr Tigu. He said later two of his neighbours Mrs Juliet Mudonhi and Ms Effort Tsiga came to the scene. They helped pour water on some victims who were unconscious. Mr Tigu said the 14th victim was assisted out of the vehicle by another neighbour, Mr Wisdom Makoni. “We spent almost 30 minutes before any car passed-by and when the first car arrived, most of the motorists were interested in taking photos and videos. “If many of us were helping people from the wreckage all of them would not have been burnt. Some people were burnt while they were still alive. Maybe they would not have died,” said Mr Tigu. Mr Tigu attributed his courage to his difficult upbringing having grown up in the farms. “I am the eldest son in a family of six and I am the second born. My mother is physically challenged and my father is asthmatic. I grew up fending for the family here at the farm together with my parents and we have handled all difficult situations,” said Mr Tigu. 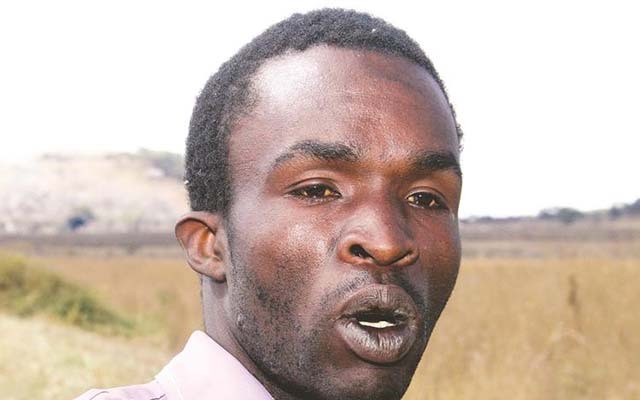 Mr Tigu, who is single, attended Masembura and SOS Hermann Gmeiner School in Bindura.